Mission Offshore Rowing Shells are recreational representations of longer, narrower Racing Sculls. Using quality competition style components, similar to those found on Olympic caliber Racing Shells, Rowers experience a full body workout and the exhilarating speed achieved by no other paddle sport class. The Offshore Rowing Shells are Monocoque construction which is inherently buoyant and longitudinally stiff by design. 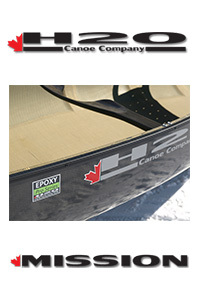 Offshore Rowing Shells are enjoyed by a variety of users including Cottagers, club members or learn to row programs and as a trainer in less than ideal conditions for competitive Rowers.